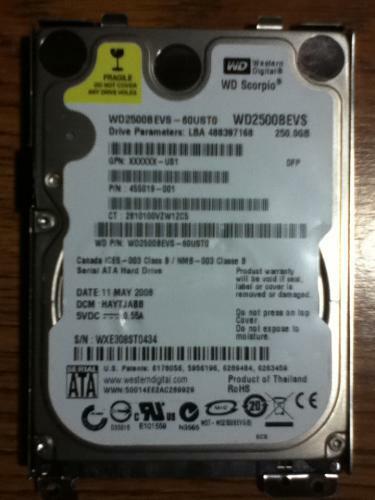 Where to buy a new hard drive? The hard drive on my HP Pavilion recently died and I am now debating between buying a new computer altogether or paying for a new hard drive for a computer that is four years old. I am confused because when I type in the exact model number into google (WD2500BEVS-60ust0) everything that comes up says it is SATA. 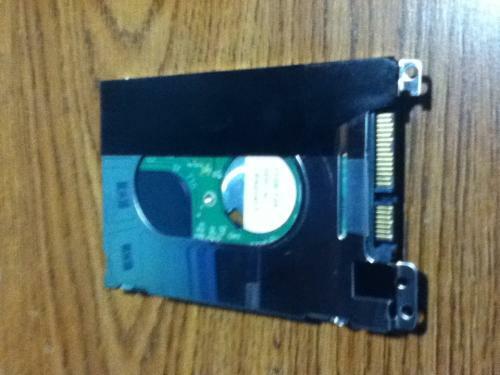 I bought a SATA drive at Best Buy and that kind won't hook into my computer because the part that connects it to the computer needs little gaps in between (or teeth), whereas SATA has no gaps and is one straight across, very skinny piece. I was then told at Best Buy that I would need a PATA hard drive to fit my computer, because those were popular right around the time my computer was made and then everything was switched to SATA shortly after. I also noticed that right on the hard drive in a box it says SERIAL in small letters with ATA below it so I really don't know what to think. Any help on what I need and where I could get it for a good price would be greatly appreciated. Thanks. Perhaps someone can answer with the history as there might have been different connectors, but in looking at the Western Digital web site it does say that it is a SATA drive. Is it possible to take a picture of the connector? It is possible to buy the same exact drive on Ebay, but that is always a gamble. You could also bring the drive to a place and confirm that the connectors are the same. 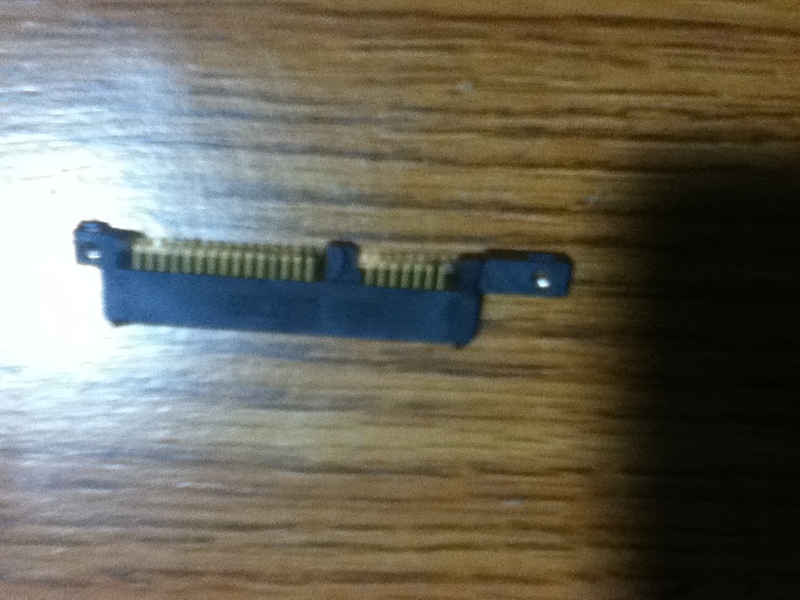 As it turns out, it is a SATA drive with a little plastic connector on the end of it with a bunch of little pins. After taking off the plastic thing with the pins on the end of it, it looks just like the SATA drives I bought from Best Buy that wouldn't work because they wouldn't fit. Does that mean I can now go buy another Western Digital SATA drive, connect the little plastic thing with the pins and have it work again? It sounds like that is an adapter, which should work on another drive. It is hard to say for sure without looking at it. Here are some pictures of exactly what I have if it helps at all. 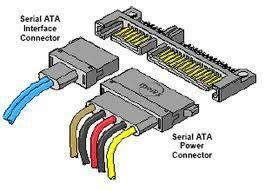 From the pictures, it looks like an adapter, so you should be able to use that on another SATA drive. Ok, thanks a lot for the help. You are welcome. Please post what you find out as it helps others reading to get an idea of what the actual problem was determined to be. Hope you do not mind me coming in on the topic. The model of the computer may solve the question. Did you look at the pictures of the drive and the adapter? After taking off the plastic thing with the pins on the end of it, it looks just like the SATA drives I bought from Best Buy that wouldn't work because they wouldn't fit. Sorry again for the interruption. That message was prior to the realization that there was an adapter on the drive. See the lower picture that was posted. You are looking at two different posts with a change in information/realization of the adapter. The first was when it was not realized that the adapter was on the drive, so it did not match. The second was when the adapter was taken off, then the drives matched. In the end, the Best Buy drive should fit, once the adapter is put on it, assuming it was not returned :-). My apologies once again for the interjection. Yeah when I first bought the SATA drive from Best Buy I didn't realize that little black connector came off of the drive that was in my computer. So I took it back thinking I needed a PATA drive, which was way more expensive and they no longer carried. In the end it all worked out, as I now have a new drive coming for a little cheaper than before. Thanks again for the help.